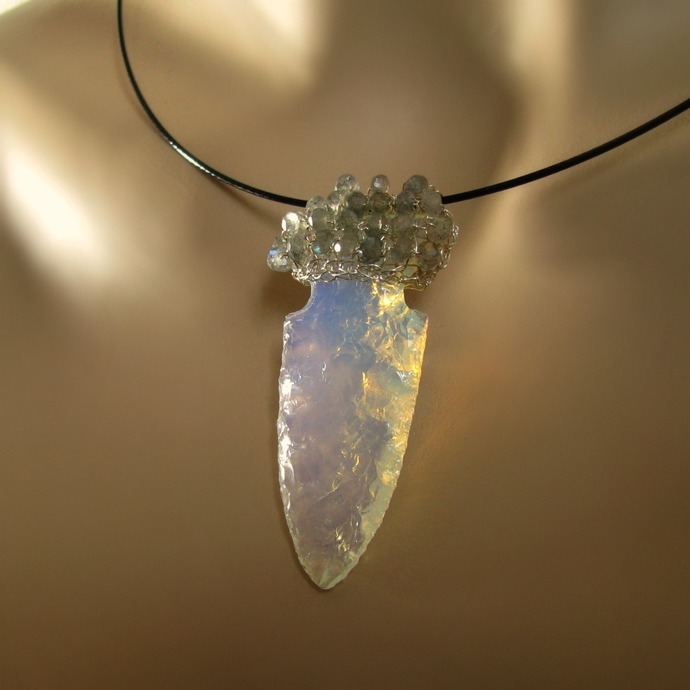 The gorgeous arrow head was made from opalite glass by Daniel A. 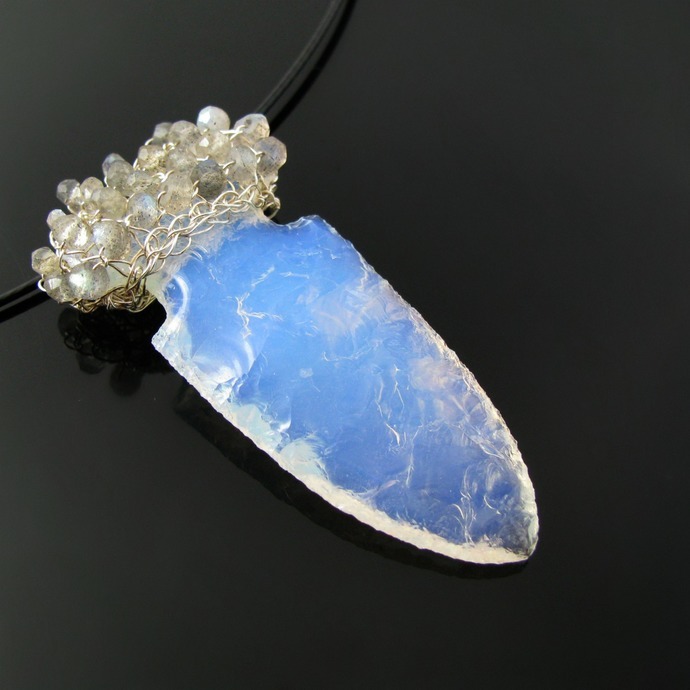 Pierce, using the ancient flint knapping technique. 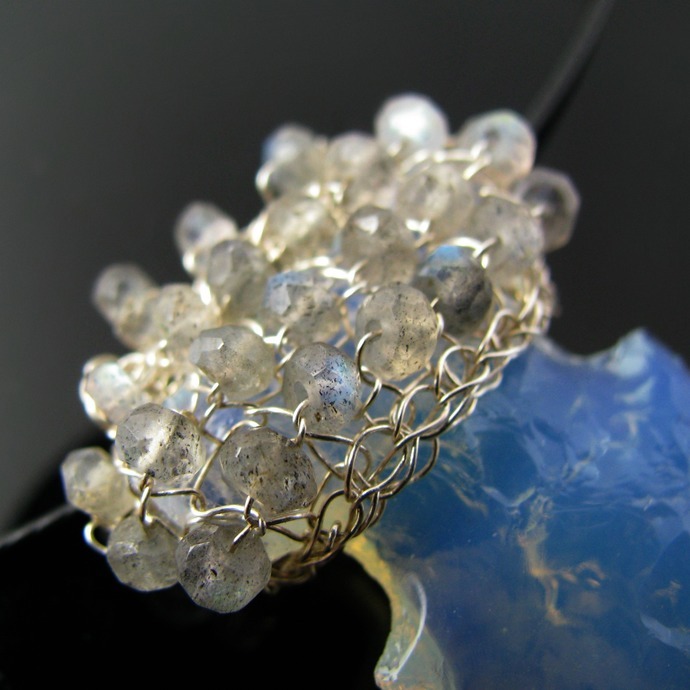 To compliment the beautiful shine of the glass instead of covering it up I knitted a cap from fine silver wire to hold the top part using a crochet hook and worked in faceted labradorite beads that match the color of the glass wonderfully. 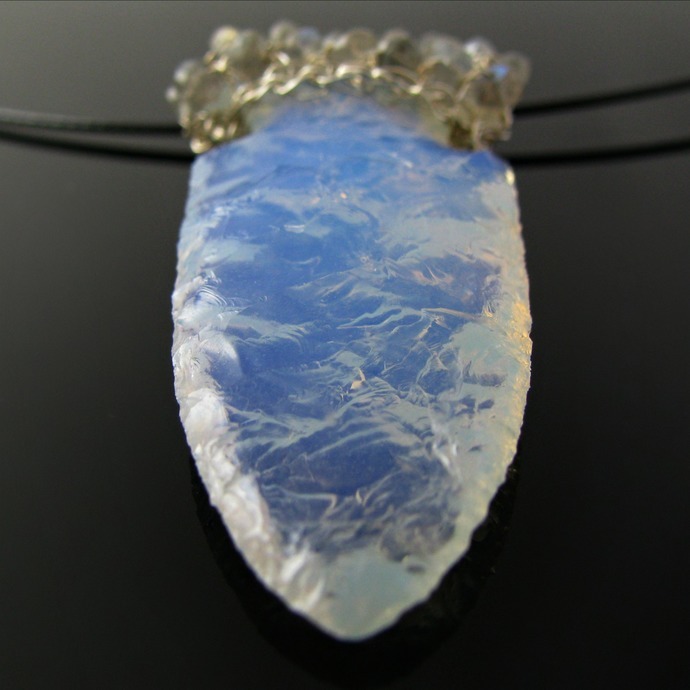 Opalite glass picks up the light from outside. 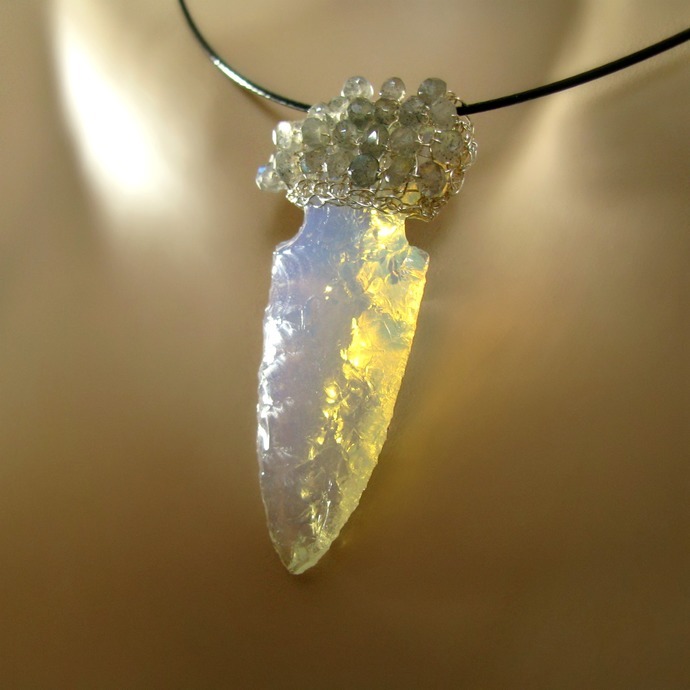 In my pictures I used light from different angles to show how it influences the shine in the glass. It's breathtaking, I promise! 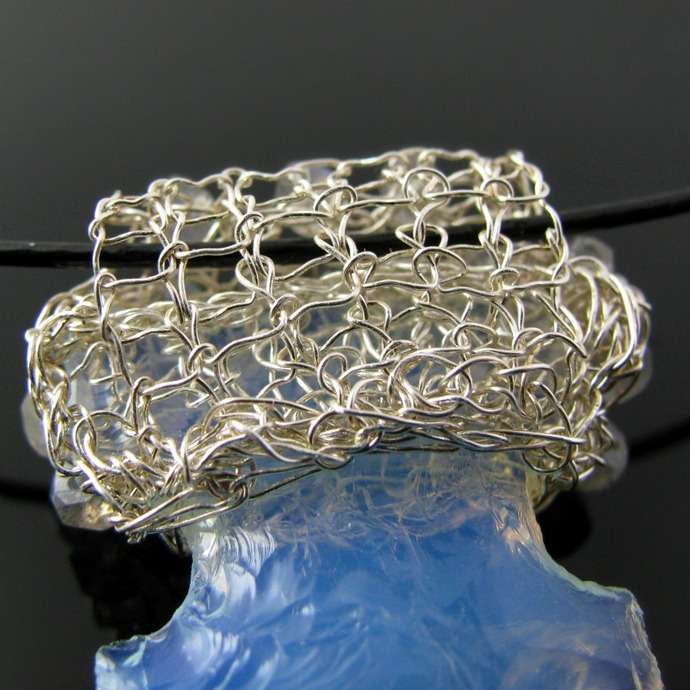 There is a hidden knit bail in the back big enough for all kinds of chain or cord. 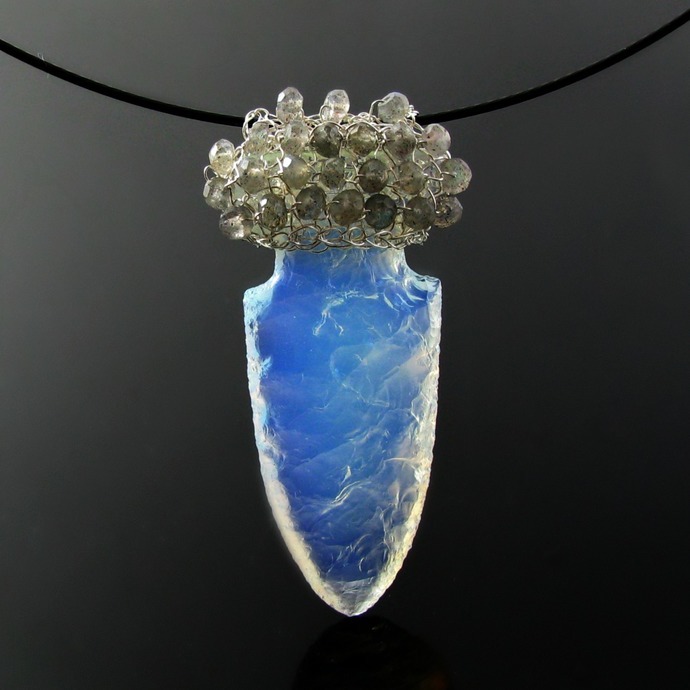 The pendant is 5.3 cm or 2 inch long. The cord pictured is not included.